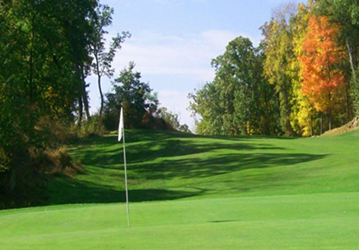 SPARTA, NJ - Skyview Golf Club was the site of the Second Annual Jim Nye Scholarship Golf Outing and Dinner. The event raised money for a fund dedicated to honor the memory of Nye who died in May of 2013. Nye's dedication to education made it a fitting tribute to have a scholarship fund in his name. He learned to value education early in life as he put himself through college and later had a career in educational publishing. Nye's wife, Ilse Wolfe spoke of the scholarship itself; the criteria and the first recipient. The application was based on an essay submitted through the guidance department of Sparta High School. Wolfe was pleasantly surprised, if not a bit overwhelmed, to have received over 50 applications for the scholarship. Wolfe said the essays were judged based on three criteria. Drawing laughter from those gathered for dinner, she explained the first criteria was the "Jim-ness" of the applicant. "Did they display the same kind of drive and passion for life that Jim did." The second, fitting criteria was "Amusement. Would Jim be amused by this person?" Wolfe explained, "Did they show that spark that Jim would find so engaging?" The final measurement on the matrix was need. Would the money go to a student that could use the assistance? The three finalists were interviewed. "We were looking for promise, making a difference in the world, someone who was poised to return the good fortune and, finally, we needed to see a sense of humor," said Wolfe. "We found our winner, Sara Saltos, who is now a Hokie at Virginia Tech. That was a great day." Wolfe was thankful to Rory Fitzgerald, Director of Guidance and the Sparta High School Guidance department for the assistance they provided in structuring the scholarship. She chose Sparta High School graduating seniors to be the recipients, "because, let's face it, I have Sparta Pride." 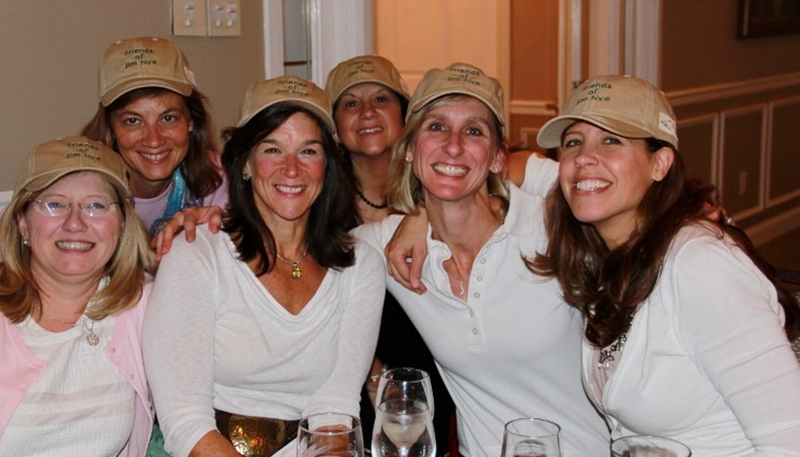 During the dinner, several prizes were awarded to the golfers. Raising additional funds, there were door prizes and a silent auction as well. Nye and Wolfe settled in Sparta with their two children Aliya and Ellis, becoming involved in the community. He was a member of the vestry of St Mary's Episcopal Church, trustee of the Sparta Education Foundation and active in the Sussex County Democratic Committee holding various leadership positions. Anyone interested in contributing to the scholarship fund can contact us.